Kids' swimming pools: What makes a good pool for your family? When you have kids, a backyard swimming pool is the ideal outdoor accessory, as a pool is something they can continue to enjoy for many years. But there are so many considerations to take into account when choosing a family pool. Which is the best option for you and your kids? 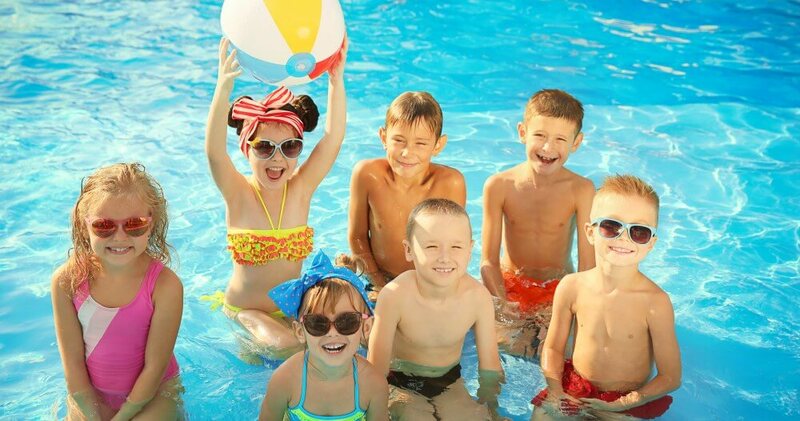 Here we look at the reasons why a pool makes so much sense for families, and what the available options are, to determine exactly what makes a good kids pool. There are a huge number of reasons why you should consider investing in a swimming pool for your family. Pools have become an integral part of the Australian outdoor lifestyle, and they bring a wide variety of benefits to family life. For a start, your own backyard pool is the ideal place to teach the kids to swim. It is a peaceful environment with no distractions, so you can give the kids your undivided attention, keeping them safe in the water while they are learning. As they get older and become more confident swimmers, a backyard pool means that you can supervise them at all times, even when they don’t realise you are looking! This is an important part of helping your kids gain independence and confidence in a safe and controlled way. A pool also offers the perfect way to stay fit and healthy. We all lead more sedentary lifestyles these days, so having a pool on your property gives the whole family a great reason to get outdoors and enjoy some exercise. Swimming is ideal for keeping fit, toning your muscles and improving your cardiovascular health. It also helps with mental health, as it reduces stress and anxiety and promotes relaxation. All of these health benefits will enable your kids to lead more active, healthy lives which they can enjoy to the full. Additionally, one of the most important benefits of having your own pool is the social opportunities it brings. 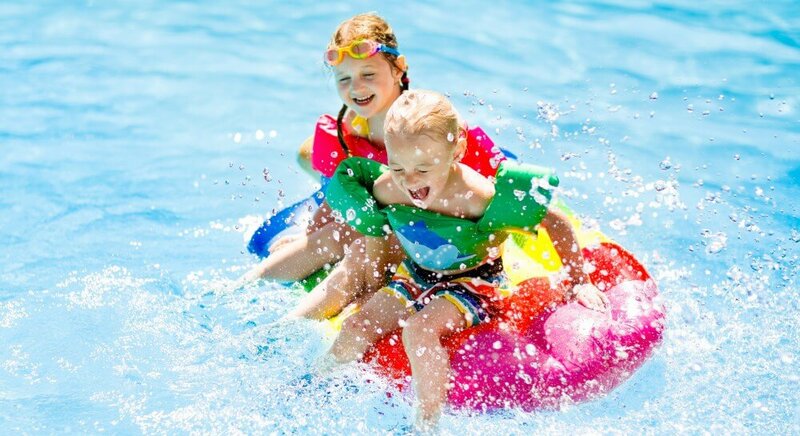 The kids can invite their friends to pool parties, giving them a perfect way to form stronger friendships, and you can also host your friends at the poolside whenever you feel like entertaining. However, it is the bond between family members which often benefits the most strongly from a backyard pool. All of you can enjoy swimming, relaxing and playing games together in the water, strengthening the bond you all share and creating many memories which you and your kids will continue to treasure for life. Your pool will also make your backyard a more beautiful and peaceful place where you can all enjoy spending more time, improving quality of life for the whole family. Safety has to be your number one priority when you have children. This is more important than ever when choosing a swimming pool, as pools can be highly dangerous places, particularly for young kids. You need to look very carefully at the pool to make sure it is safe enough for your family’s needs. Firstly, a pool is likely to be safer if it is made by a reputable manufacturer or built by a highly experienced pool builder. There are many cheap options on the market, but these are often not made to the same high standards as pools from long-established pool manufacturers. You cannot compromise on build quality when safety is involved. You also need to look at the safety features the pool has. Ideally, it needs safe steps, non-slip surfaces, and a seating area so the kids can have a place to rest if they get tired while swimming. 2. Does it offer good value for money? Value for money is extremely important in a family pool. You will be paying a considerable amount of money for it, so it needs to be built to last. Some of the cheaper options might look tempting from a budget point of view, and it is extremely important not to overspend when you have children. However, this needs to be counterbalanced with how long the pool is going to last and whether it is robust enough to withstand your usage needs. For example, you might purchase a cheap vinyl pool, but end up spending more on repairs and maintenance than you would have paid for a far higher quality fibreglass pool. 3. Does it fit well into your backyard? The pool you choose needs to suit the design of your backyard, so you and the kids can make the best use of all the available space. This means choosing a pool which will not take up the entire backyard, as they will want to enjoy other outdoor activities too. You also need to remember that the pool has to comply with safety regulations. It has to be fenced on all sides, and outside the fencing there must be a Non-Climbable Zone of at least 900mm all the way around the pool. No large objects such as furniture can be placed inside this zone, as kids could use it to climb over the pool fencing. So if you want to use the poolside area for entertaining or eating outdoors, you need to ensure that your pool can fit into the space in a way which is compliant with the law and still leaves enough room for you to enjoy all aspects of pool ownership. 4. Does it suit all your usage needs? Every family’s needs are different when it comes to swimming pools. You know your family best, so you are the only one who can determine how they will want to use the pool. If your kids are very young, they will probably just want to splash around and enjoy learning to swim, but as they get older, they will want more swimming space and enough room to play games in the water. It is important to think long-term here, as your pool will need to last you for many years. It can be worth spending a little extra to have a pool which will continue to meet the changing needs of your family as the kids grow up. What are the options for kids pools? A family pool is a large swimming pool which the whole family can swim in comfortably at the same time. While a pool of this size is too large for some backyards, it can be a good choice if you have enough space and it is manageable on your budget, as your kids will still be able to enjoy it when they are teenagers and beyond. Family pools are usually built with a number of safety features, and they often have varying depths, so the kids can become more adventurous as they gain confidence in the water. A lap pool is a good option if you have a family full of active swimmers who take their health and fitness seriously. Lap pools are long and narrow in shape, offering a clear corridor of water perfect for swimming laps. While this might not be the ideal shape for playing games together in the pool, a lap pool is often big enough to fit more than one swimmer at a time. Above ground pools are highly versatile, making them ideal for families. They are more affordable than inground pools, so there is less risk of overspending. They can also be installed and used practically straight away, so you don’t have to have a building site on your property, which can be dangerous if you have young kids. Additionally, if you decide to move home, an above ground pool can be loaded onto a truck and taken with you, so the kids can continue enjoying themselves in the water when you get to your new home. You might have to compromise on size, as above ground pools are usually smaller than inground pools, so the whole family cannot be in the water together at once, but there is usually enough space for the kids to swim together, and it makes supervision easier if there is less expanse of water. Little Pools offer all the features families are looking for in a compact size at an affordable price. A Little Pool is ideal for a smaller backyard, but has the same build quality as a full-sized fibreglass family pool, as it has been built using the latest technology developed by one of Australia’s leading pool manufacturers. If you would like more information about Little Pools and selecting the right pool for your family, please contact us, and our team will be happy to help you. PreviousPrevious post:Pool cleaning systems: What are the options available to you?NextNext post:Salt water pools: Is salt a more effective method of pool sanitisation? Having questions? Not able to decide? We are happy to help you in any stage of your pool project. Whether you have initial questions or more advanced ones, talk to us today.